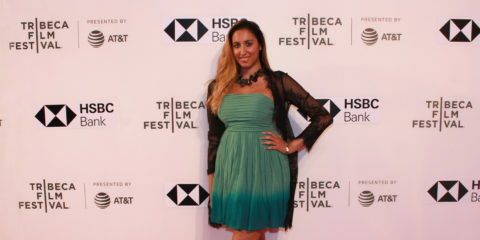 Pamela Quinzi at The Tribeca Film Festival for the premier of 'MC QUEEN'. The Oscar night, like the Kentucky Derby, or the NCAA Final, is considered one of the major popular events, at the top of the list of Pop-Culture of this Country. It is an occasion when friends, families, co-workers and complete strangers find themselves together under the most different context and location. People gather to see their favorite celebrities on the large TV screens in Sports Bars, restaurants, home theaters in basements, mini TVs and even phone screens to watch the Oscars. This year’s edition of the Academy Awards was surrounded by particularly high expectations because of the impressive number of good, solid and innovative movies in all the categories, both domestic and international. Among all of these celebrations, one party, in particular, stands out from the rest. The Oscar night at Ashton’s Alley, hosted by “New Apple Productions”, a visual and performing arts event entertainment company based in New York City. Celebrating the sixth year of NYC Oscar Events, this year surpassed all others with a very large fancy stylish and very happy crowd. The set-up of the event was simply perfect. At the entrance, attendees were welcomed on a red carpet, where cameramen and photographers tried to steal the coolest poses and the sexiest look. Guests were asked to dress to impress and show off the latest in fashion. Everybody responded beautifully. Sandy Jordan, co-founder of “New Apple Productions” and MC of the night, interviewed the celebrity guests who were dazzled by the many lights around them. All were more than happy to be interviewed and to show their outfits to the eager photographers around them. What made this year’s event even more exciting is the presence of “Livein Style Magazine” as Media Partner of the night. 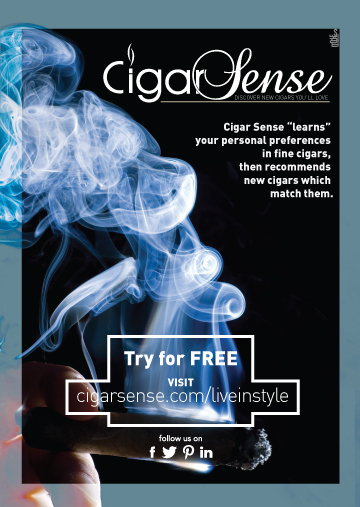 “Livein” is an Italian owned publication based in New York City focusing on upscale lifestyles, and at the same time paying homage to the Italian-American Heritage and Italian Excellence. The mission of the magazine, specifically in New York, is to find gems of authentic Manhattan lifestyles. For instance, the timeless places where the typical and not so typical gather over drinks and conversation, though plentiful, are as varied as those who inhabit them. Ashton’s Alley on Oscar Night was filled with glamor, Swarovski crystals on dresses and shoes, glitter on lips, sparkling wine glasses, old and new friends, patrons and clients, waitresses and photographers, all interacting with each other. We see everybody talking to somebody, always checking the screen to see what is going on at the Awards, or browsing “Livein Magazine”. The Magazine immediately caught the attention of the crowd because everybody loves Italy. While looking at the pictures in the magazine, people shared their memories about their last trip to Italy. Many expressed a desire to visit Italy at least once in their lifetime. There is a special reason why “Livein” is there on Oscar Night. Sandy Jordan of “New Apple Productions” recently finished writing a TV show based on her experience as a youth singing in Italian clubs in NYC. 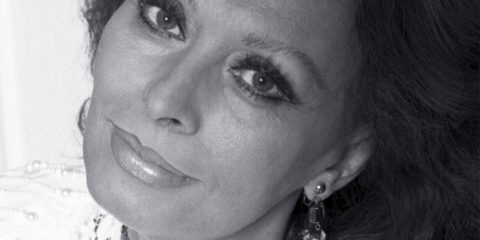 The show, therefore, is based on her life but is built around a legendary Italian-American performer and set in a fictional nightclub somewhere in Manhattan. Sandy has filled the parts with actors that the public will recognize from the ”Sopranos” as well as “A Bronx Tale”. The Show will also feature many famous faces appearing as themselves. Having regular patrons and guest celebrities walking in and out of the club gives the Show the chance to present snapshots of contemporary nightlife and the way the latter is heavily influenced by the Internet and mobile phones. 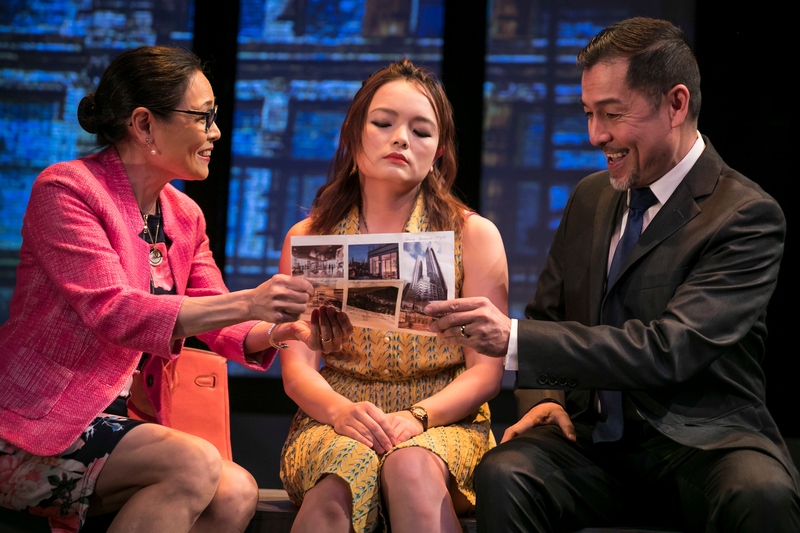 At the same time, the Show is a witty warm fun take on contemporary nightlife. All topics are handled with affection, and with the style of humor, that attracts a very broad market. Joseph Fraia (the Chief Editor of the Magazine), as well as “Livein” (a premier Italian-American publication focused on New York), are going to be an integral part of the show, thus bringing the audience a glimpse into the Italian American/NYC culture and history. Each episode will feature top artists from different fields, singers, designers, comedians, and actors who will mingle with the oddball cast of characters. Through the metaphorical lenses of the camera, the show will shine a light on the many positive contributions the Italian community has made and also show the positive role the Italian-American community has played in New York history. The series will show that some things are not necessarily what they seem, as the characters from different cultures illuminate the changes that exist and show that the majority of Italians are vastly different from the stereotypes and clichés still present in our culture. THE SHOW WILL CONVEY THAT NEW YORK CITY IS THE PLACE WHERE DREAMS CAN COME TRUE. Sandy Jordan has spent the last 3 years looking for the perfect singer to play Johnny the star of the show. Sandy needed someone whose life mirrored hers. 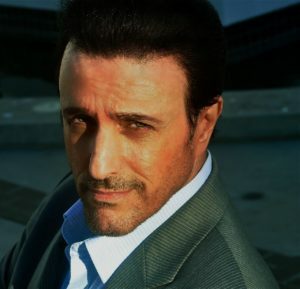 She wanted an Italian-American guy with a certain look and the best voice in the world. Sandy had a mental picture of the man and his voice. She finally found the perfect person to play the role of Johnny “Mellow”. Patrick is an amazing talent in the way he uses his vocal ability. He blends his voice with the orchestrations forming a sensational unison. Every song of his has a story to tell and brings the listener on a journey of emotions. His voice, combined with the unique features of that angelic smug face is amazingly perfect. Simply put, Patrick Basile IS Johnny “Mellow”. Livein Magazine will continue to report about the status of the show. Sandy Jordan is currently celebrating 5 years singing at La Rivista on NY’s famous Restaurant Row, 313 W 46th St. every Tuesday and Thursday night. Stop by, have dinner get a drink and listen to some good music. Bring your copy of Livein, of course for a special discount.